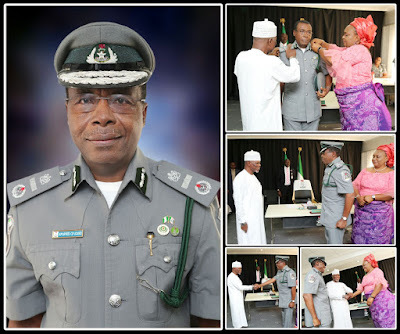 The Comptroller-General of Customs, Col. Hameed Ibrahim Ali (Rtd) has charged members of the new Management of Nigeria Customs Service to re-dedicate themselves to hard work and commitment to nation-building through efficient and effective service delivery. A statement by the Public Relations Officer, Wale Adeniyi, said the CGC gave this charge after the decoration of 14 new members of management at the Customs headquarters. While congratulating them, Ali expressed happiness that the newly-decorated officers were appointed purely based on merit devoid of lobbying and any external influence. The ceremony which marked formal constitution of a new management for the service, brought on board 6 Deputy Comptrollers-General namely: Suleiman Idris, Ukaigwe Paul, Umar Iya, Ugo Daniel, Warikoru Austin and Adeyemo Grace. Also decorated were eight Assistant Comptrollers-General following a restructuring process that led to the retirement of some members of the former management. Speaking to the officers, the CGC said, “We must deliver on our mandate and work towards making 2016 the best year in the Nigeria Customs Service”. 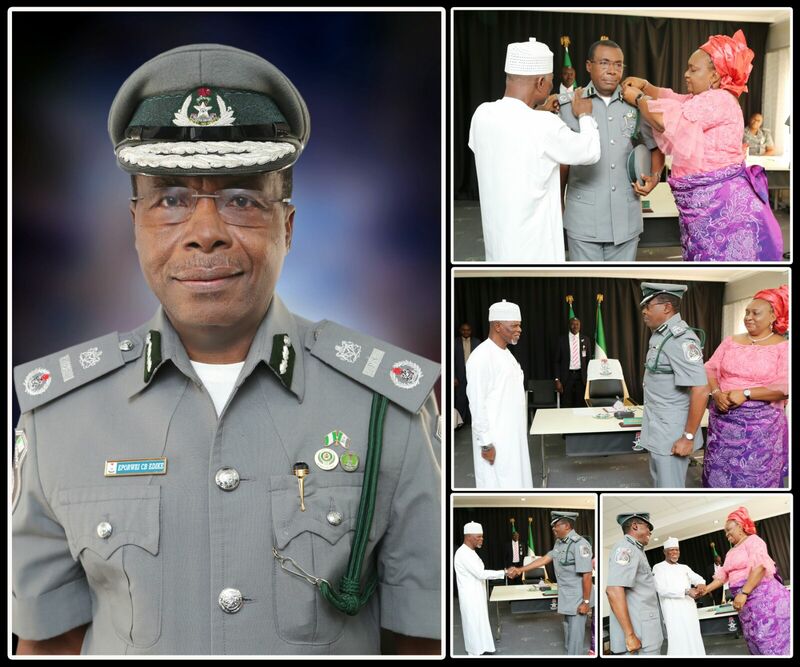 Responding on behalf of the newly-promoted Officers, Deputy Comptroller-General of Customs in-charge of Finance, Administration and Technical Service, Idris Suleiman expressed gratitude to God for providing the type of leadership in the nation and the NCS in particular. He said with a leadership that leads by example as exemplified by the CGC, it becomes easy for well-meaning subordinates to key in and work towards the achievement of the Service mandate. While thanking the President and Commander in-Chief of the Nigerian Armed Forces and the Comptroller-General of Customs, DCG Suleiman assured the CGC of their unquestionable loyalty and dedication to the course of nation building through hard work and commitment to honest Service delivery. The new management member are DCG Suleiman Idris Ibrahim(Finance, Administration and Technical Service); DCG Umar Abubakar (Tariff and Trade); DCG Ukaigwe Chigozie, fsi(Strategic Research and Policy). Other DCGs are DCG Ugo Ayegba (Enforcement, Inspection and Investigation); DCG Warikoru Ayapayefa(Human Resource Development) and DCG Grace Adeyemo(Excise and Industrial Incentive, Free Trade Zone). The eight ACGs are ACG Sanusi Umar (Headquarters) ACG Aremu Olatunji (Commandant, Staff College); ACG Chidi Augustine(Zonal Coordinator Zone ‘D’); ACG Azarema Abdulkadir (Zonal Coordinator Zone ‘C’). Others are ACG Dangaladima Aminu (Zonal Coordinator Zone ‘B’ COORDINATOR);ACG Edike Charles(Zonal Coordinator Zone ‘A’); ACG Abbas, M. (Secretary NCS Board) and ACG Adekoge Funsho(Modernization).